Patriotism has become something of a charged word in these turbulent political times. And that led to significant shifts in the results of Brand Keys’ 16th annual survey of American brands in over 100 categories. Some iconic names, including Jeep, Walt Disney, and Coca-Cola, made the list of “patriotic” brands. Other companies — including ones that have faced controversies this year, like Facebook, General Electric, and the National Football League — fell off the list. Brand Keys creates its list by surveying 5,001 consumers between the ages of 16 and 65, from May 14 through June 12. The respondents are “balanced for gender and political party affiliation, drawn from the nine U.S. Census regions,” according to the company. The people being surveyed were asked to rate themselves on a scale from 1 to 5, with 1 being “not at all patriotic,” and 5 being “extremely patriotic.” The numbers who checked “extremely patriotic” or “very patriotic” varied by age, with perceived patriotism increasing as people got older. The numbers, however, remained consistent across gender lines and political affiliations. Those surveyed were asked to rank the patriotism of 297 separate companies. The numbers in parentheses show movement up or down for the brand since 2017. A dash means no movement. Two-way ties are indicated by an asterisk; three-way ties, by a hashtag. And numbers 39 through 50 were all tied with one another. As the NFL saw over the past year, patriotism can come with its own controversy. But that does not mean there can’t be benefits to a brand courting a patriotic image. Of course, patriotism is only one of many possible emotional values a company can associate itself with. 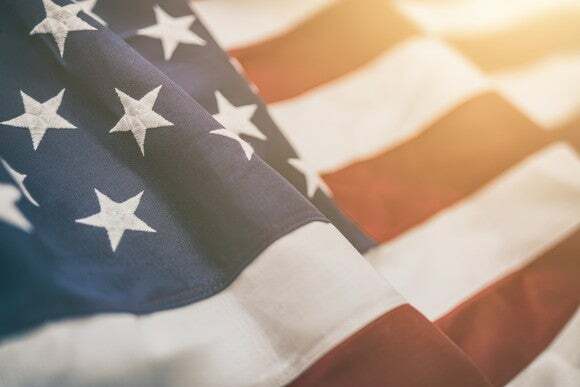 Most brands use more than one, and some — maybe most — companies on this list aren’t doing anything to specifically appear patriotic. They are just perceived that way because of their overall brand identity and positioning.